Here are the five ways to manage the credit card in a best way to get the maximum advantage. 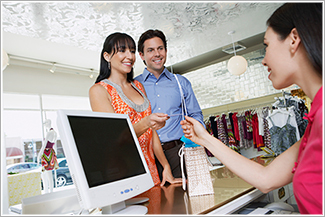 Ownership of Credit Card is a huge responsibility that demands certain care from its holder. Any miscalculated spending on your credit card could easily become an unwanted liability. So here are the five ways to manage the credit card in a best way to get the maximum advantage. Double check for annual fees: A fee on credit card is obvious when you take a new card. However, lately the credit card companies have started charging annual fees on credit card. This fee could be charged to your credit card as an item. So, make sure your cross check your credit card bills each month for such charges. Draw only that you can pay: The biggest mismanagement of credit card comes in play when card holders spend more than they could afford. So, if you do not have the money in your bank to payoff the credit balance each month then do not use it at all. Credit card is nothing but a tool that adds time to your disposable balance lying in bank account. It does not mean free money at any point of time. Monetising from reward programs: It is always better to choose cash back in exchange of reward points under your credit card. An exception could be made if the other redemption items as per reward programs are actually getting you value for money. For example - Converting reward points into air miles could be a big redemption advantage. In and Out: Spare some time to understand what exactly your credit card is offering. Different credit cards have different tie-ups with brands. So, there is a possibility that you are eligible for a big discount at some store, which otherwise could have gone unnoticed had you not known about your credit card benefits. Use Credit Card to the maximum: Once you know your credit card paying abilities it is best to take maximum leverage out of it. Settle and pay every purchase using credit card, provided you have systematic spending plan in place.